This quilt was such a fun one to make! Toadstools were done with raw-edge, cut-away fusible applique, which we’ll be demonstrating in the shop. 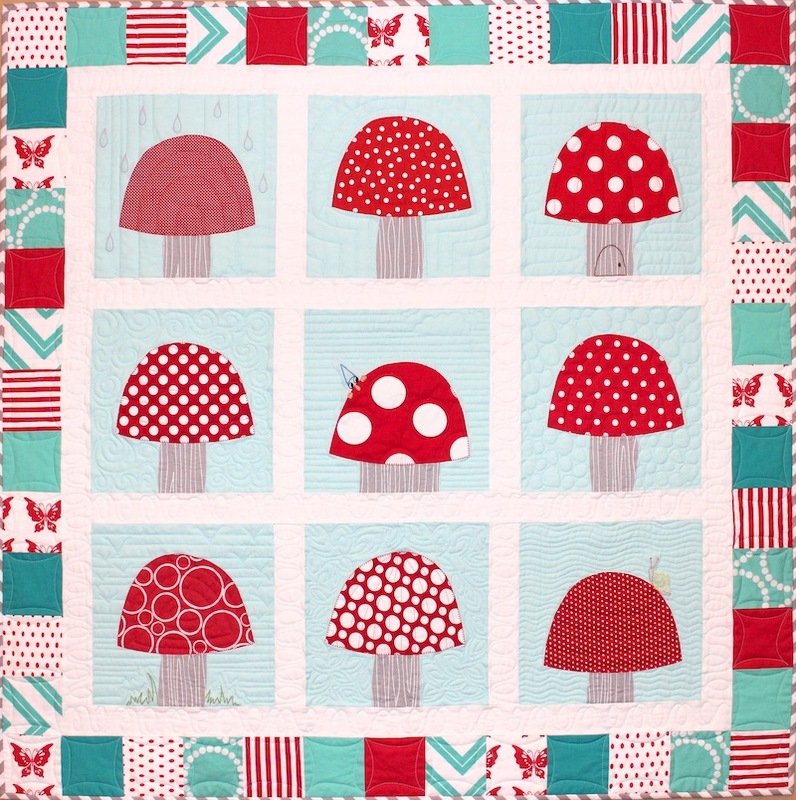 Every toadstool fabric is different, and we’ll have kits at Suppose in case you want to make yours just like this one. If you look close you can see some optional embroidery for added whimsy.